Rozwarowo Marshes is the last stronghold of the Pomeranian population of the globally threatened Aquatic Warbler (Acrocephalus paludicola), located 15 km from the Baltic Sea and used for winter reed cutting. Eutrophication has probably caused rapid Aquatic Warbler habitat deterioration despite the implementation of previously suitable management techniques. This project aims to protect the habitats of the Aquatic Warbler, including typical fauna and flora of mesotrophic fen mires, and to reduce nutrient input into the coastal Baltic Sea waters. This is done by assessing nutrient inputs, improving water management, developing recommendations for modified agri-environmental payments and producing a draft project proposal for future management. The Aquatic Warbler is the only globally threatened passerine bird of mainland Europe. It is a flagship species for natural and near-natural fen mires, which provide habitats for many other rare species along with various ecosystem services to society. Habitat degradation is assumed to be the main reason for this species’ widespread decline. The ‘Pomeranian’ population of the Aquatic Warbler that breeds along the Oder/Odra river is currently listed as ‘critically endangered’. Rozwarowo Marshes is the last stronghold of Aquatic Warblers in Pomerania, harbouring about 80% of the overall Pomeranian population. Rozwarowo Marshes are located 15 km from the Baltic Sea between Kamień Pomorski and Wolin (NW-Poland). Grzybnica river divides the peatland into two parts and flows into the Baltic Sea. Water levels are largely artificially controlled by three landowners, who manage the site mainly for winter reed cutting. The peatland is approx. 7 km long and 3 km wide and is surrounded by agricultural land and some forest. In recent years, the addition of very nutrient-rich water through fertilisers and decomposing peat has been observed at this site. 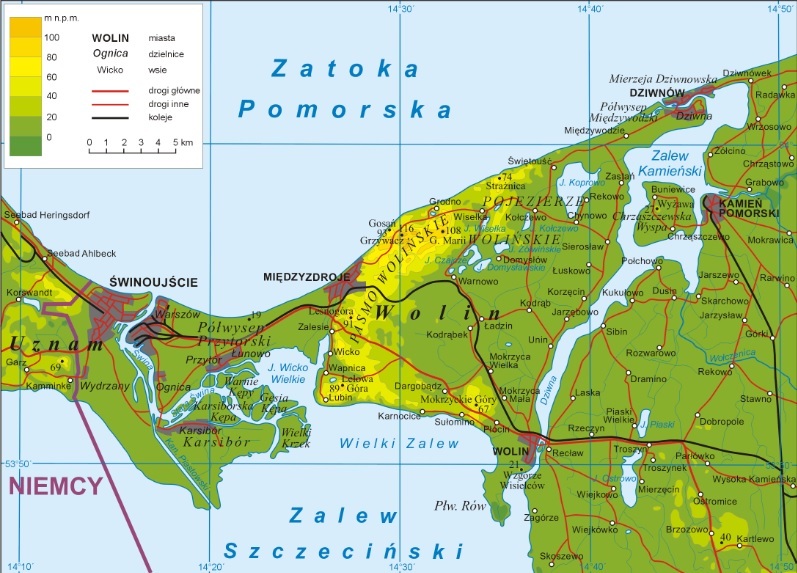 Furthermore, the artificially lowered water levels in winter lead to peat degradation and increased nutrient loads in the Grzybnica and, consequently, in Baltic coastal waters. Eutrophication has likely caused a rapid deterioration of the Aquatic Warbler’s habitat, despite the implementation of previously suitable management techniques (winter mowing). Most noteably, vegetation height on some monitoring plots has almost doubled between 2006 and 2013. In 2013, approx. 75% of the suitable Aquatic Warbler habitat from 2005 was lost. Water management is crucial for improving the conditions of the peatland as well as the adjacent coastal waters and thus forms the main target of this project. protect and improve the environmental conditions of a coastal peatland area of great importance. The main objectives include protecting the habitats of the Aquatic Warbler- the typical fauna and flora of mesotrophic fen mires – and reducing nutrient inputs into the coastal Baltic Sea waters in the region of Kamień Pomorski by improving water management in the SPA Bagna Rozwarowskie (NW-Poland). Improvement of water management will lead to viable short- and mid-term effects on habitat conditions and water quality. Development of suitable strategies and a project proposal for the time beyond the project can achieve a positive mid- and long-term effect. The project’s target group comprises of landowners, land users, water management boards, local conservation authorities and the local community.